Introducing the all new Deluxe Day Pack from Builford! It’s always a good day when Builford comes out with a new model. 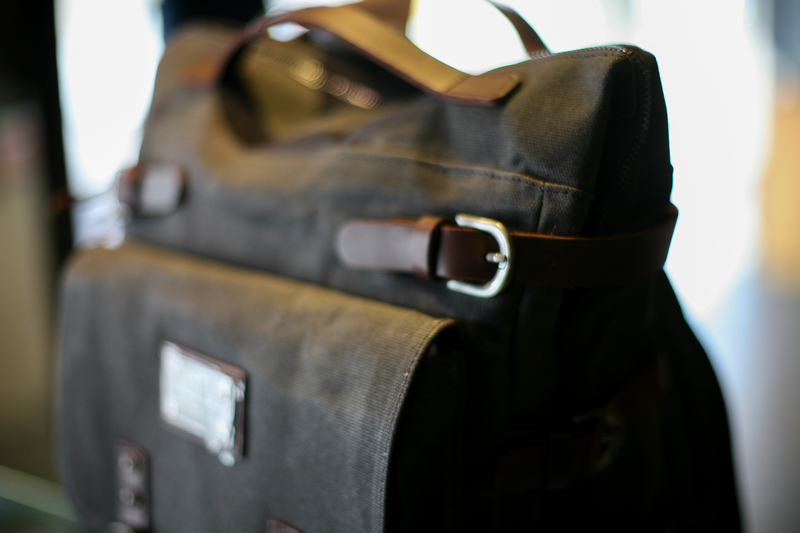 This new backpack is a mix of the great outdoors spirit and modernity. It’s great for day trips, as the name suggests, but would also be a great choice for student athletes and students. The particular design concept of the Deluxe Day Pack are the two long front pockets. These are great for standard quart water bottles. You’ll need those for long trips. The smaller side pockets can hold smaller objects, but they also have loops higher up. That mean you can hold tools, or — best for photographers — a tripod! The Deluxe Day Pack features a large inner compartment with a laptop sleeve and extra inner pockets for added organization. The top zipper gives you more freedom and space in packing, and the top leather carrying handles are very convenient for holding and carrying the pack. The side buckles are more than just ornamental — they help the bag keep its original shape. The shoulder straps are, of course, padded and adjustable as per the norm with Builford packs. There’s definitely a kind of Safari feeling to this backpack. It’s very unique, which is why students and professionals of all ages would enjoy it. It is not full of extra compartments and features like many modern student backpacks, sticking with the essentials. Builford proves yet again that the essential is more than enough! 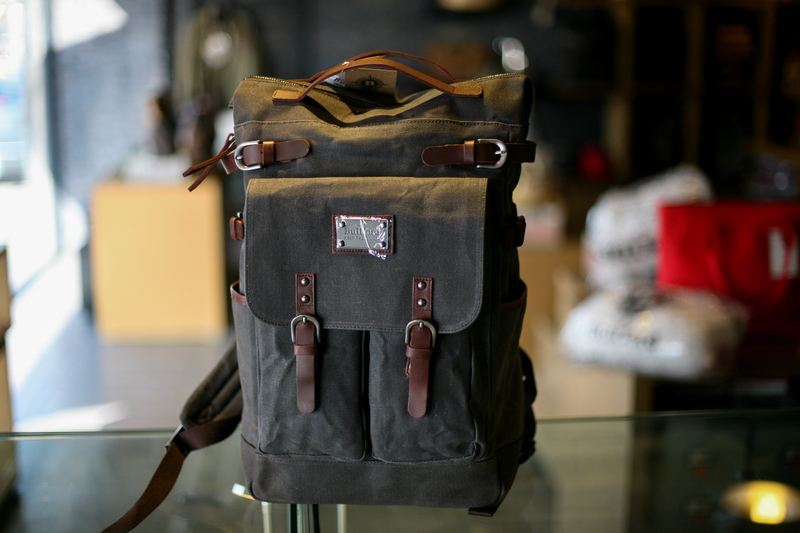 The Deluxe Day Pack is available for purchase now on the Builford website. It comes in a variety of colors, including a new luscious burgundy and the pictured somber grey. 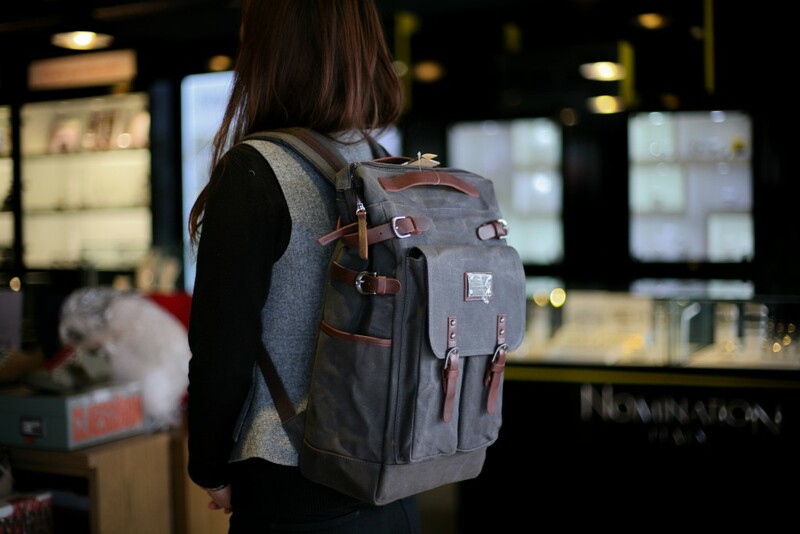 What do you think of this new Builford backpack? Let us know! We’re always working on improving and evolving the brand, so we’re happy to hear from you! Share the post "All New Deluxe Day Pack From Builford"
Posted in Fashion Review and tagged builford, Builford waxed canvas, builford waxed canvas backpacks, deluxe day pack, laptop backpack, new model, student backpack, vintage rucksacks, vintage waxed rucksacks, waxed canvas, waxed canvas backpacks, Waxed rucksacks. Bookmark the permalink.